Founded in 1748 the Library is the South’s oldest cultural organization and home to one of America’s most complete historic literary colections. It also houses one of the country’s most historic map collections, including a 4 volume set of J.F.W. Des Barres’s ‘Atlantic Neptune’. Since February 2012 Heritage Charts has been working closely with the Society to help catalogue and record the Atlantic Neptune volumes, some of which are in need of conservation. Although the Library now employs the most uptodate storage for all of its collection of books and maps, inevitably material dating back to the 17th century has suffered at the hands of time. The society, ever aware of its obligation to the heritage in its possession, has for some time been engaged upon a conservation scheme generously supported and funded by the Society’s members. It is a monumental on-going task which is already reaping the benefits of the care and interest the members. 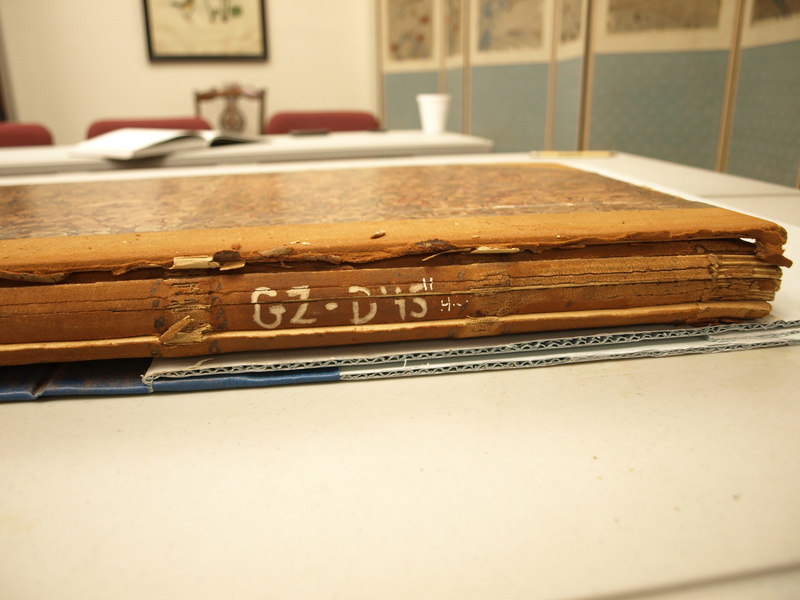 The Library’s volumes of the Atlantic Neptune are in need of rebinding and conservation, the magnificent maps, charts and plans within the volumes pages cannot, presently, be safely or easily be displayed. Click on image to see the Heritage Charts version of this chart. The Society, under the direction of President Stephen Gates and Executive Director Anne Cleveland, as well as the Officers and Board of Trustees take a simple approach; Act now and future generations will be able to enjoy these magnificent books and documents which are such an important part of American cultural history. On Thursday the 7th March Heritage Charts was proud to be part of a very special evening held at the Library Society. The event was a ‘thank-you’ to members of the Society who had already supported the conservation initiative. As part of this special evening Heritage Charts joined forces with the Library Society to launch a new fund-raising initiative: The sale of a series of special edition prints from the Heritage Charts collection which are representative of the very charts, maps and plans contained within the Charleston Library Society’s Atlantic Neptune volumes. 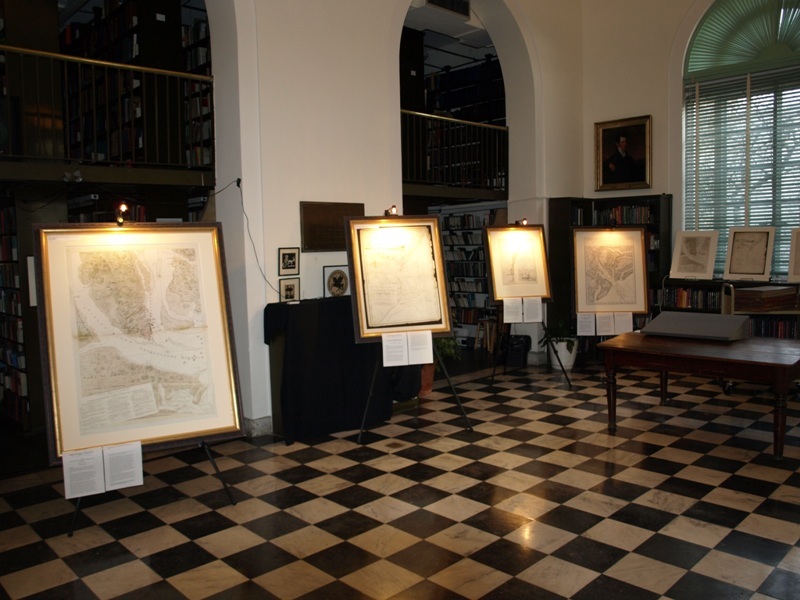 As of the 1st April 2012 Heritage Charts and the Charleston Library Society will be releasing a specially selected set of reproduction prints of charts, maps and plans from the Heritage Charts collection, representative of those contained within the Library’s collection of Atlantic Neptune volumes. A new chart, map or plan will be released approximately every eight weeks thereafter. A Sketch of the operations before Charleston, South Carolina. 1780. J.F.W. Des Barres. The selected charts, maps and plans are all of Charleston and the surrounding area including Hilton Head, Beaufort, Port Royal and the coast of South Carolina. All of them come complete with a printed history. Port Royal in South Carolina taken from the Surveys deposited at the Plantation Office. 1777. J.F.W. Des Barres. Each chart has been reduced to a uniform size (22″ high) so as to make a matching set and all of the prints have been produced using the Giclée print technique. A plan of the Siege of Savannah, showing the coast of South Carolina. 1779. J.F.W. Des Barres & John Wilson. All of the prints may be viewed, pre-ordered and purchased from the Charleston Library Society on King Street. Do please drop by to see the collection as well as to view the prints at full size. As part of the fund-raising initiative, any CLS members wishing to purchase any other charts, maps or plans, possibly one of the selected charts but at the size of the original or even at half-size, direct from the Heritage Charts web-site may do so at a 10% discount. For every sale, the Library Society will receive 20% of the full sale price to put toward the conservation of their wonderful collection, including of course the Atlantic Neptune. To make use of this offer to Library Society members, simply ask at the Library Society for the ‘promotion code’ which may be entered into the PayPal payment system on the Heritage Charts web-site. Alternatively, just leave your order* with the desk at the Library. These beautiful maps, charts and plans make for magnificent personal and corporate gifts. They look as wonderful on the wall of an office, reception room and boardroom as they do in the home. Heritage Charts are able to print at any size, and can add a business or personal inscription of your choice.